The power of a thousand suns! Business mind. · Poetry and prose from the heart. · The free mind of a human god! “The word enlightenment conjures up the idea of some superhuman accomplishment, and the ego likes to keep it that way, but it is simply your natural state of felt oneness with Being.” ~ Eckhart Tolle. “When you accept what is, every moment is the best moment. That is enlightenment.” ~ Eckhart Tolle; Spiritual teacher and author. Desire is the one which drives humankind, the one which points our routes in this physical life–i.e., you desire to eat, you desire to find companionship and and get into a relationship, you desire to better your education to get a better job, you desire to be the best you can be so to achieve greater things in life, and so on and so forth. And, of course, there is the real us, the subconscious, which takes care of breathing, heartbeats, blood circulation, immune system, etc. etc. ; and so our subconscious does not do things based on our conscious desire of daily living, its energies are the essence of our life and what keeps our motors running. But desire, good or bad, or the process of desire, lives in the conscious mind, it is our ego; however, because it is our ego is tied to birth and death, it is mortal and flawed, it is a superficial entity we use every day to function as human beings. But there are energies driving the forces of desire, and these come from the subconscious mind that I mentioned above. These energies from the subconscious are “enlightening”, or what most of us call “Enlightenment”, energies, and these divine energies are shaped soon into our ego, by our conscious (because through the subconscious they penetrate and give life to the desire that drives us every single day, they feed the conscious mind to our advantage and human survival). 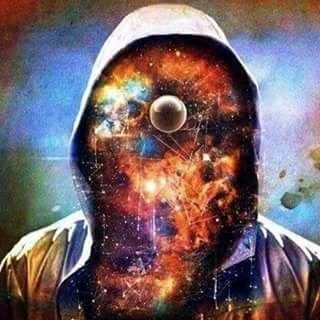 True spiritual awakening, the intelligent power fueling all of our being, is then embracing fully these divine energies flowing through the subconscious; therefore, true spiritual awakening is embracing who you really are beyond the ego and the desires you have (which can be good or bad). Knowledge and all information is good for the mind, but it will only enter your mind and boost your ego. This knowledge could help you in your life’s path, perhaps help you remember who you are deep inside; however, it will not give you a deep and shocking realization of who you are in the Absolute Essence (which is, in fact, your Absolute Essence, your Vital Life Force, what is called an Awakening). When someone becomes truly awakened, your whole belief system shakes and your views on life are altered, you start shedding intellectual and emotional layers of your persona because you start seeing your ego for what it is, and once you truly see or realize your ego and its reactions then you become bigger and stronger and more able to tame it or control it. The absolute freedom and love the mind gains. Hate and loneliness I thought it was my fate. For rich silence and self-acceptance I tried. I became the Alchemist by Entering The Light. Previous Post A little reminder.